Build in Aluminum. 16' or 18'. Workboat. 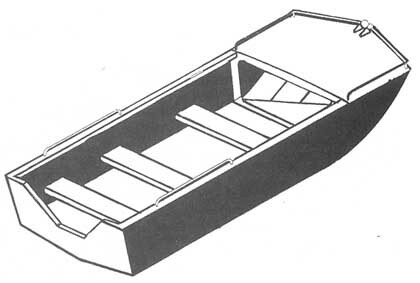 Seats four to six persons depending on the size of the boat. Shallow vee underwater for softer riding in a chop. Trailerable. Quite a big set of drawings. Computer detailed. These plans make a very comprehensive set. Seven sheets include structural and construction details and methods, and plate development sizes. No full-sized patterns are required. Plans complete. Very good value. Plans & Patterns Only $49, Was $95.